Reviewed by Jeremy Brier on 14th February 2006. 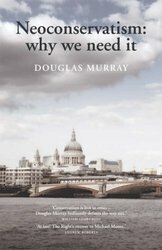 In an age when most British students learn to think in “belief-beige”, the pernicious relativist doctrine that “one should always be alive to the possibility that one is wrong”, it is a source of considerable joy that Douglas Murray vigorously bucks the trend that he abhors. His confident and scholarly homage to neoconservatism is both an exhibition of and an argument for moral clarity, a defining feature of the neocon “mood” or “persuasion” (it’s not a “movement” or a “cabal”). Such clear moral thinking, which has long permeated the works and speeches of neoconservative thinkers from whom Murray distils an excellent opening context, reaches its modern-day apotheosis in George W. Bush after the tragedy of 9/11: “We are in a conflict between good and evil, and America will call evil by its name”. Murray contrasts this with the way in which so many “contemporary poseurs” fail to make serious moral distinctions. Noam Chomsky is one of the ‘moral equivalence’ gang, deceitfully likening the war in Afghanistan to “a sort of silent genocide”. He said that America were advocating the slaughter of not “merely thousands of innocents like the desperate crew who brought down the World Trade Center … but millions”, although when it was pointed out to him two years later that nothing of the sort had happened, he brazenly replied that he had “predicted nothing”. Funny how those who are the most sloppy with moral terminology in comparing regimes are the most insistent on technical linguistic accuracy when defending themselves against charges that they have been proven wrong. This morally illiterate counter-culture had long been visible in this country in relation to Israel. For many years, the BBC, the Guardian and the Independent have given succour to fundamentalist Islamists and Palestinian terror organisations in Nazifying this isolated democracy and stripping the Holocaust of its exceptionalism. By the time of the War in Iraq this ethic had exploded in the British media and streets, directed not just at Israel and America, but also at Tony Blair. Murray sharply observes that Blair captured the “ideal neoconservative expression” when he responded to the tedious charge that he was not taking action against other tyrants with the pithy chiasmus: “I don’t because I can’t, but when you can, you should”. Murray also reserves some appropriately pointed words for the anti-war brigade: “Its immoral members openly celebrate violent attacks on western society; its more moral members are simply incapable of coming up with any but the most hollow reasons for why such attacks are wrong”. The way out of this malaise and the denouement of Murray’s thesis is not to revert to an old-fashioned conservatism that revels in “archaism, cliquey anachronism and snobbery” but for Conservatives to embrace neoconservatism ideas and become a powerful voice for freedom, liberty and justice. In his final chapter, Murray sets out what a British, neoconservative landscape would look like, including ‘slashed’ taxes, ‘elite’ universities and an end to dealings with the European Courts or European Conventions on Human Rights. Most compellingly, he advocates our vital understanding that the UN should not be the “parliament of the world”, a theme which runs through this book, and recent history, with a painful and urgent truth. In 1975, following the General Assembly’s passing of Idi Amin’s infamous motion that Zionism was a threat to world peace, Daniel Moynihan, the US ambassador to the UN, stated that it had given “symbolic amnesty” to the murderers of six million Jews. People will say, Moynihan prophetically noted, that the UN is “a place where lies are told”. Moynihan was right. People do say that, because those lies are told and repeated. Syria sits on the Security Council, genocide went unnoticed in Congo, Rwanda and the Balkans and now, Iran is wise enough to know that it can build up a nuclear arsenal with impunity. Only Israel might stop it with a blistering raid to protect the free world - and then we all know who would get the blame for being war criminals. Murray would no doubt agree that this is simply what happens when relativism reaches its endpoint: moral equations eventually lead to not just the excusing of the guilty but the active support of evil. How else can one explain the Mayor of London entertaining one of the “greatest inspirations to jihadists and suicide-murderers, Sheik Yusef al-Qaradawi”? Only a positive and robust commitment to neoconservatism and moral absolutism can save us. This outstanding short book, always written with wit, elegance and flair, enables one not just to understand better the world in which we live, but to understand with a burning clarity our own duties and responsibilities within it. “I don’t because I can’t, but when you can, you should”. I've always thought this a weak strand in the argument, and it's just not good enough or sufficiently sophisticated in its reasoning. We *can* take action against all manner of other regimes, including Zimbabwe, but it's just not on our radar. We could take action in Nepal, to ensure the slow-burn murder of the last decade doesn't continue for another. But we don't. If those on the left are apologists for regimes of mass murder, surely if we can take action and we don't, we are almost as bad? The problem is one of extreme. Applied to discipling a two year-old boy, the liberal would sit him down and seek to explain why the child's actions were wrong (the nurturant parent approach). The neocon would identify that this liberal approach is misguided, weak and ineffective then take off their belt and soundly whip the child (the strict father approach). As always, common sense is some where in the middle and this is where us conservatives who support tough action but disagree with neocon approach are ignored or falsely grouped with the liberals. Being tough does not mean having to adopt the neocon approach, and rejecting the neocon approach does not mean having to adopt the liberal one. You're spot on, in my view, Chad. My concern, and one Jeremy would probably raise too, is that unless we're clear about where we're grounded we risk drifting towards the liberal end of things. I would call it simply "firm but fair" and I am sure most people fully understand this approach. I nominate Douglas Murray for the Gold List! “We are in a conflict between good and evil"
Albeit it's a decidedly imperfect 'good' (the Bush administration), vs a force of absolute evil (Al Qaeda). Many people of good will would like the Bush administration to be considerably more good (Rumsfeld) or at least competent (Rumsfeld). You can sume up Neoconservatism by it name as it a contradiction. It simplices poltice to good guy bad guys and has a strong religious line which is not apropet to british politics. Chad is right you have to find the centrel ground and a mix with Libreltion and Consertition.